This text presents a model of practice that stems from the goodness-of-fit between the child's needs (physical, developmental, social-emotional) and the parent's ability to adequately meet those needs according to the prevailing norms of society. 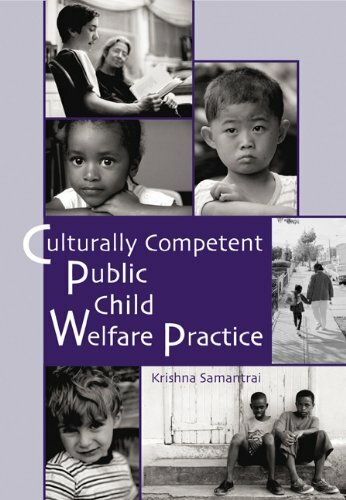 Samantrai integrates policy, human behavior theories, issues in practice, skills of practice, multiculturalism, child abuse and neglect, and she develops and refines these concepts into the skills specifically needed by those working in public child welfare. Krishna Samantrai is associate professor at Smith College for Social Work. Prior to moving to Smith in 1997, she was professor at California State University, Sacramento, where she developed the practice model presented in this book. She is the author of two previous books, PREVENTION IN CHILD WELFARE: STATES' RESPONSE TO FEDERAL MANDATE (Garland Publishing, 1993) and INTERVIEWING IN HEALTH AND HUMAN SERVICES (Nelson-Hall, 1996, reprinted, 1999; now available from Brooks/Cole). She has also authored several articles on the subject of practice and policy in child welfare. "If asked to describe this manuscript to a colleague, I would say that it is both timely and unique. ... The proposed manuscript goes far in helping students fit the policy, practice, and theory pieces together in a way that creates a coherent framework for approaching assessment and selecting interventions." " ...a thanks to the author for the sensitivity to and understanding of economically poor families" "... the author is to be commended for the ability to explain major developmental theories with brevity and in language that is accessible to most students" and "The author has done an admirable job of presenting an array of possibilities in intervention. This is frequently not covered well in most texts."